Be sure and read the quotes, above – especially the first Sinclair quote. Trust what he has to say. I do. Yes, I believe that gold is headed to $4000 or higher during the 2015-2017 period, and the dollar is in danger of a massive devaluation. Sinclair, as usual, tells it like it is and pulls no punches. Be long gold and short dollars. Follow that advice and you win. Ignore it and you lose. It’s just that simple. Recently, I read reports from Stansberry and Larry Edelson suggesting that gold was in danger of a major correction, down into the $1300s or low $1400s. Both of these gentlemen assure us that they are still bullish toward gold and silver, but not short-term. At least they are long-term bullish and acknowledge that the bull market is far from over. Personally, I strongly disagree with their analysis, which is strictly based on technical analysis. I have less faith in TA than they do, in a market place dominated by manipulation. When you consider the kind of information that they are presenting, it has to make you uneasy. What if they are right? After all, anything is possible. Bearish views, like those presented by Stansberry and Edelson, are not in tune with writers like John Embry, Bill Murphy, Andy Hoffman, Bill Holter, Jim Sinclair, Jim Willie and myself, to name but a few. What do all of us share in common? 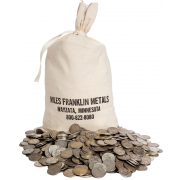 Most of us have been heavily involved in the precious metals industry for decades. We may not be right, but we are not fools and we are very experienced. You know my view – I am still very bullish and believe that January through April will be very kind to gold and silver. We shall see. So how should you react to the following question: Is it prudent to hold off buying gold and silver now, at these low “correction” prices? As we head into 2013, I would like to share a few of my thoughts on what lies ahead for gold and silver. First and foremost, I remind you that GOLD IS NOT AN INVESTMENT; GOLD IS MONEY. A simple statement, but it has deep meaning. When you think of gold only in terms of profit and loss, you become speculators. 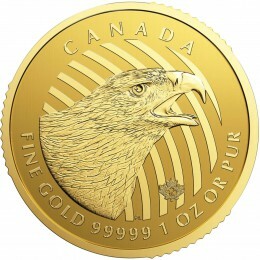 Count your gold IN OUNCES not IN DOLLARS. Your wealth, in the long run, and even in the rather near-term, will be measured in how many ounces you own. The price will take care of itself. Here are a few of the forces in play for 2013 that will determine where the price heads. On the one hand, there are the traders at JPMorgan, HSBC and their crony bullion banks that are very, very “short” paper gold and silver on the COMEX. They prefer prices to stay low or fall. And there are the mega-hedge funds, some of which also benefit from low and falling prices. They all operate in the world of “paper” gold and silver. The Fed and the US Treasury also prefer that gold and silver remain comatose. They want to keep you in the dollar and they need to support US Treasuries. When gold and silver rise, it casts doubt on our greenback and makes it harder to sell our bonds, especially with our interest rates so ridiculously low. All of these negative forces have been in play for over a decade, since the bull market in precious metals commenced. In spite of these negative forces, it takes 6.5 times as many dollars to buy gold today, and over seven times as many dollars to buy silver as it did in 2001. The forces that are at work to suppress the price haven’t been successful, and going forward they won’t be either. Let’s look at the problem faced by the Fed in trying to support the dollar – because if the dollar continues to fall, gold and silver will not only continue to rise, they will explode, and supply will become hard to come by. 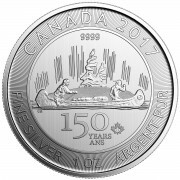 According to industry icons, James Turk and John Embry, silver is already in very short supply – physical supply, not paper. If the economy falters, and I expect it will, the Treasury will take in less taxes and the welfare sector will demand more funding. This will cause the deficit to rise and more bonds will have to be sold to finance the shortfall. The Fed will be the buyer of many of or most of these bonds, and that means an expanding money supply. It will put even more pressure on the dollar. Remember, we cannot buy our debt with newly printed money without debasing the dollar. No nation has ever been successful with that approach and we won’t be either. Should the economy heat up, the banks will start lending the money that they are currently sitting on (or using to buy “safe” bonds), and that will create more demand and a noticeable rise in inflation. That will also harm the dollar and be very gold and silver friendly. It’s a situation where nothing the Fed does will succeed – and the dollar will lose value. It’s merely a question of how much and how fast. No one can tell you exactly when it will happen or how low the dollar will fall, but you will be better served to be early rather that scrambling to adjust your portfolio after the fact. One thing is certain; the Fed always resorts to printing more money every time a bubble pops or the economy heads toward recession. The Fed will be 100-years old next December. In that time frame, the dollar has lost 96% of its value. That means that the four cents in buying power that remain were worth one dollar in 1913. 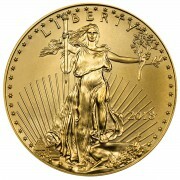 Translated into gold, in 1913 a dollar was worth one-twentieth of an ounce of gold. Today it’s worth one-one thousand six hundred and fiftieth of an ounce of gold. The dollar is NOT a store of value. That’s pretty scary, since the dollar is the currency we all rely on as the foundation of our investments. That is unless you trade your dollars for gold and silver. Then you sidestep dollar-related issues. 2013 will be the year when the dollar starts to show cracks and it loses its Reserve Currency” status. It won’t happen all at once, but the process has already started and it is accelerating. Currently there are hundreds of billions less demand for the dollar (a number to surely move into the trillions) as India, China, Russia, and Brazil (the BRICS), along with many other small countries are already trading with each other in their own currencies, bypassing the dollar. This is the Fed’s Achilles Heel – and they have no solution to the problem. The result must be a loss of the Reserve Currency status of the dollar and the ensuing inflation and rise in the cost of food and energy will wreck havoc on the middle class. This is not a hypothetical scenario, it is coming. You will be very well served to move your spare dollars into gold, silver and strong foreign currencies. The one thing you don’t want to be is dollar-heavy in 2013. When this becomes clear to you, then you will understand that the current “discounted” price of gold and silver is a blessing, not a curse to you. Check out the following and you will see how hopeless our situation really is. I grabbed the following data from JSMineset and it does a wonderful job of putting the Fiscal Cliff numbers that are “too large to comprehend,” into numbers you can understand.